Shape, fill and define your brows with Billion Dollar Brows' Universal Brow Pencil, a water-resistant, mechanical eyebrow pencil that works with almost all skin tones and hair colours. Extremely versatile, the dual-ended pencil is a neutral taupe colour that works equally well on blonde hair as it does on dark hair. 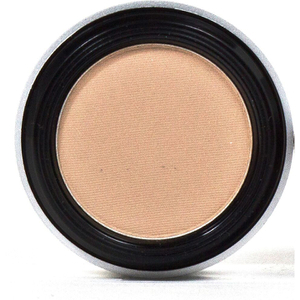 Its smooth formula delivers a soft, natural finish for brows that look fuller and shapely. Use feather like strokes to achieve a natural finish, and utilise the spoolie to blend, groom and control. For darker skin tones and hair colors, apply pencil until you’ve reached the desired shade. Use less pencil for lighter skin tones and hair colors. Blend using the brush end of the pencil. Simmendsia Chinesis (Jojoba Oil) Seed Oil, Oleyl Alcohol, Ricinums Communis (Castor) Seed Oil, Oleyl Stearate, Glyceryl, Monoriciroleate, Beeswax (Cera Alba)ozokerite, Euphoria Cerifera (Candelilla) Wax, Microcry Stalline Wax, Lanalin Oil, Propyl (Butyl, Metyl) – Paraben, Citric Acid, Glyceryl Stearate, Glyceryl Oleate, Lecithin, Ascorbyl Palmitate, Tocopherol, Iron Oxide (Ci77499, Ci 77491, Ci 77492), Titanium Dioxide (Ci 77891).